Diabetes that develops during pregnancy is known as gestational diabetes. It occurs because your body cannot produce enough insulin (a hormone important in controlling blood glucose) to meet its extra needs in pregnancy. This results in high blood glucose levels. Gestational diabetes usually starts in the middle or towards the end of pregnancy. your family origin is South Asian, Chinese, African-Caribbean or Middle Eastern. What is risk assessment of gestational diabetes? Screening for GDM by maternal characteristics and obstetric history can predict about 55%, 70% and 85% of cases of GDM at respective false positive rates of 10%, 20% and 40%. How will I be checked for gestational diabetes? In the morning, before breakfast, you will have a blood test. You are then given a glucose drink. The blood test is repeated 1–2 hours later to see how your body reacts to the glucose drink. Most women who develop diabetes in pregnancy have healthy pregnancies and healthy babies but occasionally gestational diabetes can cause serious problems, especially if it goes unrecognized. Diagnosing and treating gestational diabetes reduces these risks. It is important to control the level of glucose in your blood during pregnancy. If your blood glucose is too high, your baby will produce more insulin, which can make your baby grow bigger and increases the likelihood of having your labor induced, caesarean section, serious birth problems and stillbirth. These risks are higher if gestational diabetes is not detected and controlled. 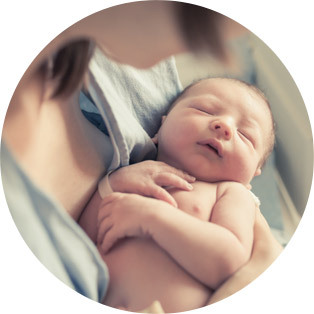 A baby that is making extra insulin may have low blood glucose levels after birth and is more likely to need additional care in a neonatal unit. Your baby may also be at greater risk of developing obesity and/or diabetes in later life. Controlling your levels of blood glucose during pregnancy and labor reduces the risks of all these complications for you and your baby. The most important treatment for gestational diabetes is a healthy eating plan and exercise. Gestational diabetes usually improves with these changes although some women, despite their best efforts, need to take tablets and/or give themselves insulin injections. You should have an opportunity to talk to a dietician about choosing foods that will help to keep your blood glucose at a healthy and stable level. After you have been diagnosed with gestational diabetes, you will be shown how to check your blood glucose levels and told what your ideal level should be. If it does not reach a satisfactory level after 1–2 weeks, or if an ultrasound scan shows that your baby is larger than expected, you may need to take tablets or give yourself insulin injections. You should be offered extra ultrasound scans to monitor your baby’s growth more closely. • Care for you and your baby including contraception. Up to one in five women with gestational diabetes will need to take tablets and/or have insulin injections to control their blood glucose during pregnancy. Your healthcare team will advise you what treatment is best for you. If you do need insulin, your specialist diabetes nurse will explain exactly what you need to do. This will include showing you how to inject yourself with insulin, how often to do it and when you should check your blood glucose levels. When is the best time for my baby to be born? Ideally you should have your baby between at 38 and 40 weeks of pregnancy, depending on your individual circumstances. If your ultrasound scans have shown that your baby is large, your healthcare team should discuss the risks and benefits of vaginal birth, induced labour and caesarean section with you. It is important that your blood glucose level is controlled during labor and birth and it should be monitored every hour during labor to ensure it stays at a satisfactory level. You may be advised to have an insulin drip to help control your blood glucose level. During labor, your baby’s heart rate should be continuously monitored. Your baby will stay with you unless he or she needs extra care. Breastfeeding is best for babies, and there’s no reason why you shouldn’t breastfeed your baby if you have gestational diabetes. Whichever way you choose to feed your baby, you should start.